Renting — Renting can be a great option for some snowbirds. In the right market, you can rent anything from a one bedroom apartment to a multi-bedroom single-bedroom home. With this option, you’ll want to be sure you understand and adhere to your rental agreement so you aren’t left with unexpected expenses when spring rolls around. Renting is a great option for snowbirds who haven’t yet settled on a specific winter location. With a short-term lease, you’re afforded the ability to choose a different locale when the fall chill sets in again. An obvious downfall of renting can be found in the fact that your chosen dwelling is impermanent, and it may not be available for you next year. 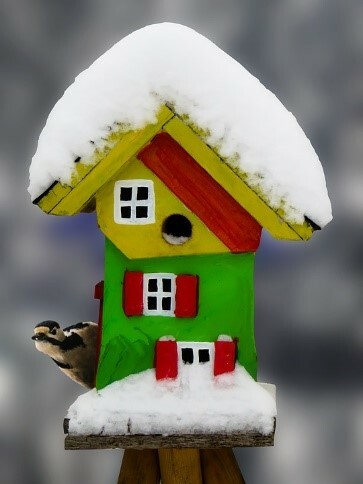 Condos — Many snowbirds find comfort in condos. They’re often far more affordable than their single-family home counterparts, and they can work well if you don’t require a ton of privacy while you’re on your winters away. On the other hand, if you’re in search of seclusion and privacy on your snowbird excursions, a condo may not be the best option for you. Shared space and neighbors in close proximity can make for an uncomfortable situation for snowbirds who prefer to fly solo. Timeshares — Timeshares have gotten a bad reputation as a result of super pushy sales tactics, but they’re actually a great option for the right snowbird. With a timeshare, you purchase a portion of a property’s overall value, rather than buying the entire home outright. As such, timeshares can be a great option if you’re only planning to be away from your home for a few days or weeks at a time. Timeshares often present drawbacks for snowbirds who wish to leave the cold for the entire winter season as a result of the way they operate. Single-Family Homes — Single family homes are the best option for snowbirds who value personal space and privacy. When you’re looking for a home away from home, a single-family house is the perfect way to enjoy supreme privacy and a life all to your own. Florida seems to be the go-to state when people are thinking about fleeing their hometowns in search of warmer pastures, but there are plenty of options that are better suited for many people. Besides the threat of natural disasters that come from hurricane season, Florida can be a costly investment. On the other hand, Arizona offers year-round warmth that’s super welcoming in winter. The cost of living is typically substantially lower than other snowbird states, and the views afforded by this mountainous region are unlike anything seafaring states can offer. Spectacular sunsets and ample entertainment opportunities often make the Arizona the go-to place for snowbirds who have researched their winter retreats wisely. House sitters. You’ll want to ensure the safety of your home by having someone check in on your space from time to time. If you have neighbors you trust who will stay in town, ask them to check the mail and turn on different lights from time to time. You can also employ the assistance of mobile apps or automated technology to assist you with making your house look lived-in while you’re away. Moving Services. Take care to read reviews, get estimates, and ask for testimonials from potential moving companies. Be sure you have an estimate of the amount of items you want to take with you so you can obtain the most accurate estimate possible. If you’ll need your moving company do the packing, too, be prepared for a higher price tag; this option is great for people who don’t enjoy the hassle and stress of moving. Forward Mail. Even if you’ll be having someone check your mail while you’re away, which is highly recommended to ensure nothing piles up to notify criminals of your absence, you should still have your mail forwarded to your winter address. Change your address with any billers you pay regularly, and notify the post office of your forwarding address in case you’ve missed anything. Hire someone to come in and keep the dust away while you’re gone. The extra activity will help deter unsavory observers from watching your home, and you’ll ensure clean toilet bowls and dust-free shelves when you return. Know what’s important to you before you even begin your search for a snowbird home. You know you want better weather than northern winters can provide; that’s a given. What else is essential? Privacy? Tons of space? Phenomenal views? World-class golf and entertainment? When you have a checklist of must-haves on hand, it will make your snowbird home-shopping experience much easier. Know which items you’re willing to compromise on and which elements are essential. The Ritz-Carlton Residences Dove Mountain is a community that’s built for people who are looking for luxurious living, spacious properties, and absolutely stunning views. With plenty of things to do nearby, you’ll always feel comfortable when you’re at your home away from home. The snowbird lifestyle is the perfect marriage of all seasons. When you prepare properly and do your research before you flee your home state, you’ll have all the tools necessary to enjoy the lap of luxury while you wait out winter in a warmer climate. With a world-class golf course, shopping galore, and spectacular views at every angle, The Ritz-Carlton Residences Dove Mountain offer you the perfect getaway when winter’s on its way. Contact our team to schedule a meeting so you can learn more about this spectacular setting.